So began my time of servitude to Kumiko. If there was a hell, I could imagine it not being as bad as to what I was being subjected to in life. From the time my feet set foot on the grounds of the shrine, I was Kumiko’s to command and use as she saw fit.Never mind that I might have another task to perform, or if it was on Priestess Jitsuko’s behalf.To Kumiko, I was her eta slave to use as she saw fit. This could mean a wide range of things, from doing chores that she did not want to do (mucking out the chicken coops, cleaning the foulest and dirtiest of the laundering), running errands for her in town, or seeing to her personal whims, no matter how ludicrous they were. During this time, Hana tried to help me in little ways, but I always warned her to be careful around me. Not only did I have my own reputation to protect, but I did not want to ruin Hana’s either. So for the most part, we went our separate ways. But she was still my friend, and often came to the Nakamuras following days where Kumiko’s demands would result in cut hands or a bruised body to offer salves, bandages, and a friendly shoulder to cry on. Okuni did not give me much hope for her help. After emerging from the depths of the Izumo shrine where the kami were said to reside, she ascended to her role as a miko.Her dancing improved immensely, as now she was having private lessons with Priestess Jitsuko. The saddest part for me was that I was no longer able to accompany her while she practiced her dance, as she now worked with the more experienced players who were mikos themselves. Her skill at the Kagura dance became so graceful that she was requested to perform ceremonies all the time away from the shrine, and saw less of me and Hana. The few times we did interact, the friendly bond that the three of us had shared was almost replaced with that of an older sister to her two younger sisters. Not that she looked down on us, but when Okuni spoke to us now, it was as a senior addressing her juniors. This hardened my heart towards her and the sisterly bond she had sworn that we would always share. Life continued on like this for a few months, until an event occurred that changed the course of my life and Okuni’s for the rest of our days. One of the most well beloved of the Festivals was being prepared for, the Tanabata festival, where the two lovers, Orihime and Hikoboshi, would be able to be together for one night to celebrate their love. During this time, the Shrine experienced a huge rise in people coming and going through its Tori gates, as young men and women from Izumo and beyond would come to the shrine to make wishes for themselves. During this time, rehearsals for a Kagura dance began. It would star Okuni in the role of Orihime alongside a local male dancer who would play the role of Hikoboshi. As such, everyone was going to participate in the glittering spectacle, including myself playing the shamisen, alongside the other players. However, due to the demands that were put upon me by the witch Kumiko, I had very little time to practice alongside Hana and the other mikos and apprentices. I might be in the middle of a practice section, but would receive a message to come and comb out Kumiko’s hair. I would have to chuck my shamisen in the corner of the room and gritting my teeth comb out her hair. As the day of the Kagura drew near, I was at my wit’s end. Despite the help that I had received from Hana, I could not seem to get any practice done at all, and I despaired of even being able to play the songs with the skill needed to do the Izumo Shrine proud. The fact that the heat this particular August was so oppressive did not help matters either, and often as I made my way home at night, the trill of summer cicadas would fill the night with their high voices. 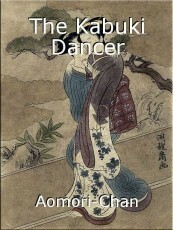 The day before the Kagura dance, I arrived at the main building where ceremonies were performed late, sweat on my brow from having to run to it after going into the city and picking up a delicacy for Kumiko.As I entered, I saw that the rehearsal had begun without me, and Okuni was clad in her full kimono and garb as Orihime. I was struck by her beauty. Her face had been painted porcelain white, her lips gleaming ruby red in the light. A crown of golden stars sat gleaming brilliantly on her head, and every time she moved she caught the light.The kimono she wore could have been woven by Orihime herself, as the colors and threads caught the light and shimmered like the purest rainbow. I stood in the doorway dumbstruck, but was pulled back to reality by the coughing of Hana, who sat by the side of the stage.I snuck in carefully, excusing myself as I maneuvered through the other instrumentalists, and sat next to Hana as the dance continued. She looked at me and whispered, “Where have you been?” I whispered back, “Doing another errand for your dear half sister.” Hana shook her head and plucked a string on her shamisen, the note filling the silence. “You really need to consider getting yourself out from under her thumb, Umi-chan,” she softly reprimanded. I glanced at her quickly, saying, “You know why I can’t do that.” Hana sighed. “I know, Umi-chan. But it doesn’t make it any easier, watching Kumiko make you suffer.” I turned back to adjusting my strings, muttering, “Well, this if life as the kami have decreed it, I must make the best of it.” Hana raised an eyebrow in response, but then returned to adjusting her own instrument. Once Okuni and the other dancer had finished, Priestess Jitsuko, who had been observing them, nodded her head in silent approval. She then turned to us, stating “And now we shall attempt the dance with accompaniment.” I readied myself alongside Hana to begin playing. As our fingers struck the strings, I lost myself in the music once again. Then a sour note twanged out. I heard it, but had no idea where it might have come from. Everything stopped, even Okuni in mid step.I turned to Hana who had the sleeve of her white haori pressed against her cheek. She was not red from embarrassment, but her eyes were wide with horror. I looked down and suddenly realized that the sour note had come from my shamisen. From my hand. I could feel myself heaten and redden.A snicker came from the people around me. Priestess Jitsuko looked in my direction, a stern look on her face. I bowed my head, and I heard her say, “Let us start again.” I readied myself and began to play alongside Hana. Okuni came forward to stand beside Jitsuko on the stage, and her eyes looking at me were not filled with concern or care, but disapproval. This sent a shock wave of aching pain through my soul, and I could not believe it when I heard her say softly, “I am very disappointed in you, Umi.” At these words, hot tears began to bleed into my eyes, and I lost my vision as I heard Priestess Jitsuko say, “Please leave the hall, Apprentice Umi, and return when you have practiced your skills to the level befitting an apprentice miko.” I stood stiffly, my shamisen clattering to the ground, and bowed briefly to Jitsuko before turning to Okuni. I wiped the sleeve of my haori across my eyes, dashing the tears away, and looked her in the eyes, showing all my scorn and anguish, before turning and fleeing from the hall, my feet thumping against the tatami. Her two followers gasped, and Kumiko turned a satisfying shade of red, appearing to be a raging oni. “What did you say?” she grated, her eyes bulging from her head. “You heard me,” I stated, then turned to leave.Kumiko grabbed the sleeve of my haori, causing a rip as she whirled me back around. “Do you realize what I could do to you, eta?” she practically shrieked. I looked her in the face and said, “Do what you must.” She then spit in my face, and in retaliation, I slapped her hard across her cheek. She fell back on the ground, in an ungraceful heap. I turned and left as her two followers helped her from the dirt, her shrieking cries renting the air as I fled the grounds of the Izumo Shrine. © Copyright 2019 Aomori-Chan. All rights reserved. This page was created in 0.3217 seconds.